When buying a new printer for your home or small business there are certain printers to avoid like the plague. They are the ones that are at the front of the store display stand and are selling for a crazy 60% off normal price. These printers are almost ALWAYS the ones to avoid. Why? Well almost all of them utilise only 2 cartridges and they are as expensive as all hell to replace. NEVER, NEVER, NEVER buy the following type printer ! 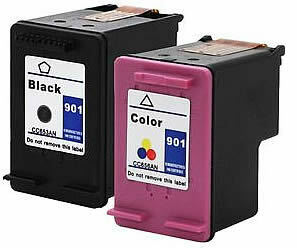 Any printer which utilses only 2 cartridges like the ones to the left. These printers are ALWAYS expensive to run as the actual print head is built into the cartridge itself. Also the colour cartridge is a Tri-colour which means that when one colour runs out the whole cartridge is rendered useless and must be replaced. How dumb is that. 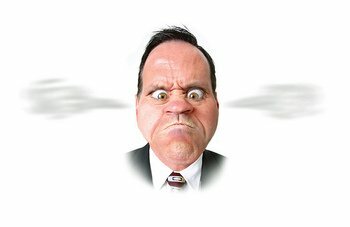 I will say it once again as I am sick and tired of customers ringing up and telling me that the inks cost more than the printer. Here we go, all together now - NEVER, NEVER, NEVER, NEVER, NEVER and once more NEVER buy one of these printers even if it has 90% off the price. This type of printer is purely marketed to rip you off. Yes you heard correctly they are what we call in the industry "Money Making Printers" Who the hell replaces the whole bottom end of the car when you get it serviced each time? No one does, you simply replace the oil. Why then do people buy a new print head everytime they replace their ink? Do they have too much money or did they just not do any research before buying their printer. Never, Never, Never buy one of these stupid printers as they are a rip off. Before you buy your next printer call us at Ink Hub and we will advise you on which printer will be the most reliable and cheap to run. If you already bought one of these printers from hell ( like the fella to the left did) simply throw it in the bin and grab a printer which uses individual cartridges. All is not lost, you may even need therapy for a while but at least you will never make the same mistake again.